If you’re like most of us, you blame yourself when bad-hair days stretch into bad-hair months. And let’s face it, over the years you’ve pulled it, colored it, fried it, brushed it, teased it, greased it, curled it, moussed it, and mussed it. Nothing seems to help. At the most basic level, your hair’s sheen, bounce, and fullness aren’t about how much you’ve manhandled it. Healthy hair depends on your changing hormones, the pills you pop, and the foods you eat (or don’t). “Hair is a barometer of your overall health,” says David H. Kingsley, Ph.D., a hair and scalp expert of the British Science Corporation in New York City. The 100,000 strands you twirled into that adorable little rhinestone clip this morning are, in fact, lifeless protein fibers. The living parts are the follicles, tiny hair-growing factories under your scalp. They’re nourished mainly by the protein in your diet, and by carbohydrates like whole grains (they provide energy); essential fatty acids from fish, nuts, and soy (they hydrate follicles); and vitamins B6, B12, and biotin, found in eggs, salmon, bananas, and spinach (they help strengthen your hair’s outer layer, called the cuticle). “Iron is also essential because it stimulates hair turnover and replenishment,” says Neil Sadick, M.D., a New York based dermatologist. As crucial as your hair is to you, to your body its nonessential tissue. Keep that in mind if you’re ever tempted to embark on an I-wanna-look-like-Nicole-Richie diet. When food is scarce, your body goes into starvation mode, sending nutrients to key organs like your heart and brain — and skipping your hungry follicles. That’s why chronic dieters often have lank tresses. That’s great! Eat some nuts, some salmon, half a banana and you’re the next Garnier spokesperson. However, it’s not that simple! How your hair looks today has nothing to do with what you ate yesterday — or even over the past few weeks. Hair grows about half an inch per month. So if your locks are shoulder length, your longest strands are up to 2 years old. If you start mainlining fatty acids and B12 right now, your hair should begin to look better in another 3 to 6 months — so open up and chow down. But what if you eat like a yoga teacher and your hair still looks like the bad end of a wire brush? Stress or illness may be to blameor, more specifically, the way stress and illness affect your hormones. “Chronic stress or a traumatic event affects the adrenal glands, which produce male hormones that can lead to temporary hair loss in women,” Dr. Sadick says. A serious illness like pneumonia, or even general anesthesia, can also stress the body, boosting male hormones in the same way. “It’s a shock to the system,” Dr. Sadick explains, “and can cause follicles to go into a resting phase.” Thankfully, when you recover, so does your hair. Here’s how the hair and hormone thing stacks up: Male hormones are bad; female hormones are good. The most obvious example is pregnancy. High levels of the female hormones progesterone and estrogen kick in while you’re carrying your baby and create an unusually thick, healthy mane. Those hormones drop off after you have the baby and a frightening amount of hair may too. Postpartum hair loss occurs between three and six months after giving birth and should stop by the time your baby turns 12 months old. Eat well! 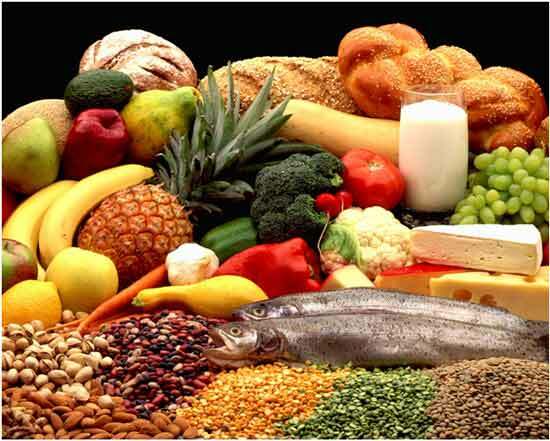 Fruits and vegetables contain flavonoids and antioxidants that encourage hair growth. 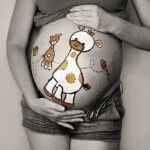 Keep taking prenatal vitamin supplements. 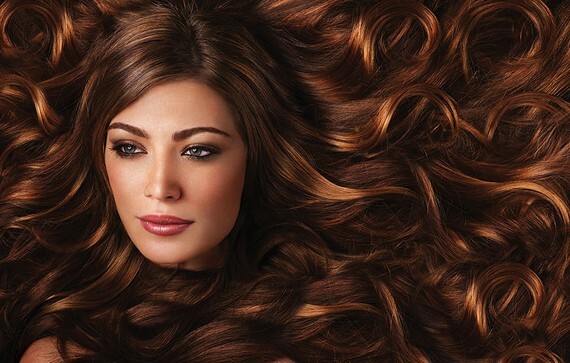 Iron, zinc, biotin, omega 3, vitamin B, vitamins E and C help increase hair strength and health. Get a haircut. You can experiment with different hairstyles, but many moms prefer short hair. It makes hair look fuller and it’s easy to take care of. Use shampoo and conditioner that add volume. Avoid hairdos and accessories which can pull and stress your hair (rubber bands, pigtails, braids, hair weaves etc.). Try not to use flat and curling iron, blow-dryer and other heated hair instruments, if possible. Use a wide-toothed comb, while working with wet hair. Of course, birth control pills also contain progesterone and estrogen, so you’d think they’d be great for your locks. But they can actually cause thinning in some women. “The progesterone component can break down into a male-like hormone in the body,” Dr. Sadick explains. If your hair seems limper since you started the Pill, ask your doctor about switching to one with a low progesterone dose or consider a non-hormonal form of birth control as another option. 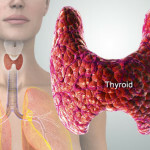 Another possible culprit may be a medical problem that has upset your hormone levels, like an under-active thyroid or polycystic ovarian syndrome. If you’re unusually tired and gaining weight (symptoms of an under-active thyroid), or bloated with infrequent periods (symptoms of polycystic ovarian syndrome), see your doctor. 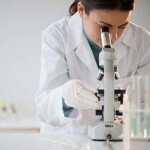 A simple blood test ordered by your physician which will show her your hormone levels. If there’s any form of abnormality, it can be treated with medication. Your hair will rebound once you get the problem under control. You can also see a Nutritionist or a Dietician and see how they can help create a special diet customized just for you and those bad hair days. 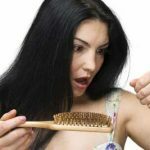 Certain medications, such as antidepressants and beta-blockers for high blood pressure, can also aggravate hair thinning for reasons unknown. “These medications may disrupt the protein-making mechanisms that affect the hair cycle,” Dr. Kingsley says. “But like other triggers, they may affect one person and not another.” So don’t flush your pills, but do ask your doctor about possibly switching your medication. Your best cure may wind up being a really good stylist — a fallback strategy every girl needs front and center in her Rolodex. Because sometimes the reason your hair looks like a squirrel’s nest really is due to all those torturous treatments. Check for split ends and brittleness, a sure sign of damage. In that case, toss your hair dryer and learn to love the texture and color you were born with. Not ready to cut the cord? 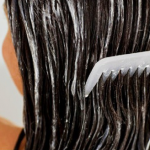 Then blow-dry on medium and never use a hot iron on damp hair — “it boils water into the shaft,” causing the cuticle to burst, says New York hairstylist Nunzio Saviano. Apply a minoxidil-based topical treatment to the scalp. According to the Google Health website, minoxidil is the only FDA-approved medication to treat female pattern baldness. The 2 percent concentration is recommended and should be applied twice a day. The minoxidil reverses the hair loss by opening up the hair follicles on the scalp. Coat with a leave-in conditioner before hitting the pool or beach. Touch up highlights only every 3 to 4 months.